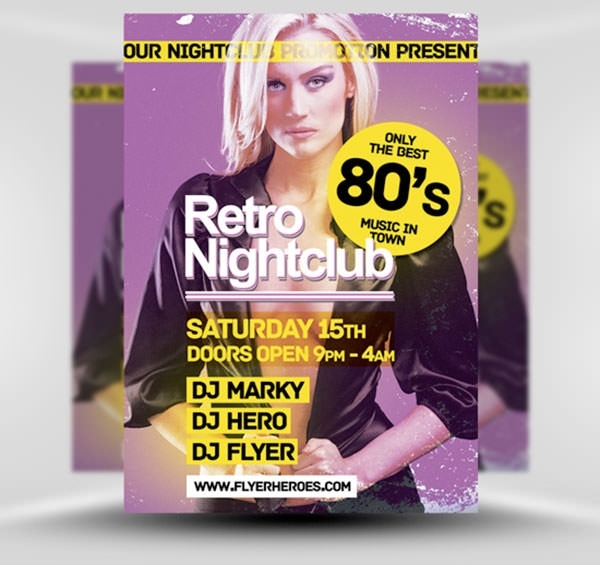 Thinking of designing a retro flyer from scratch? 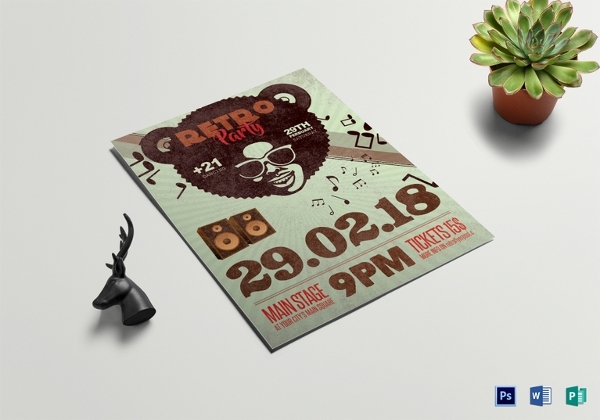 There is no need to invest time and energy into it as there are a lot of professionally created retro flyers PSD design templates which can be effectively used to market your business. 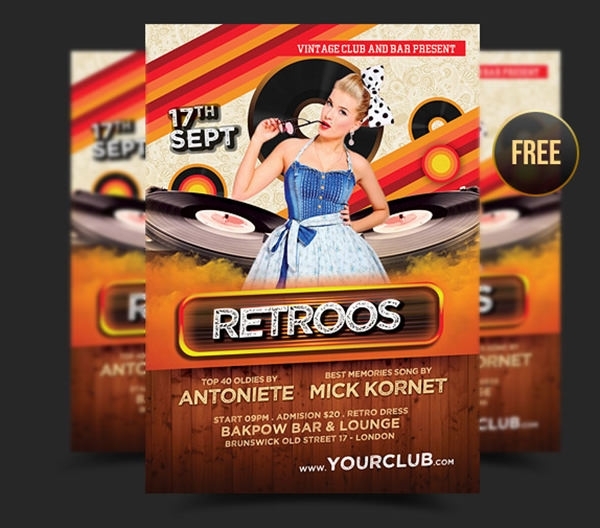 These retro flyers templates are perfect for your night club and retro style night events. 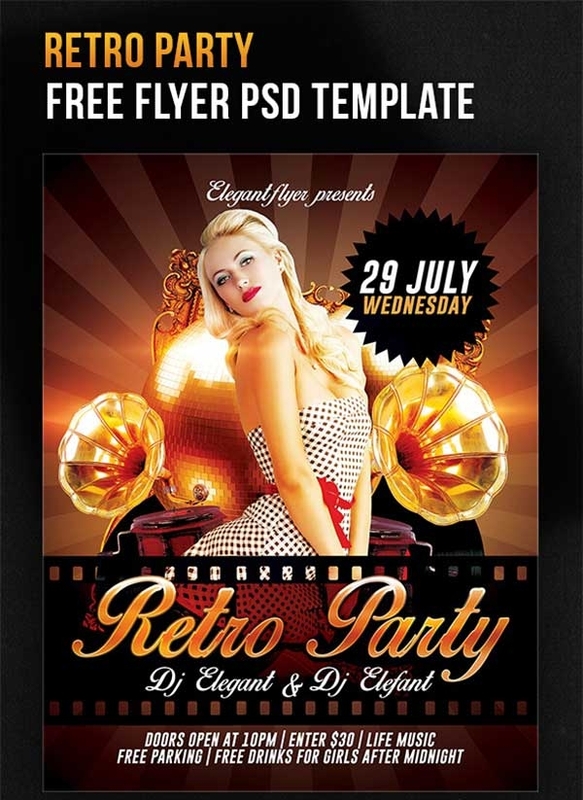 Now kick off your night party flyer to promote your retro night with retro flyer design templates. 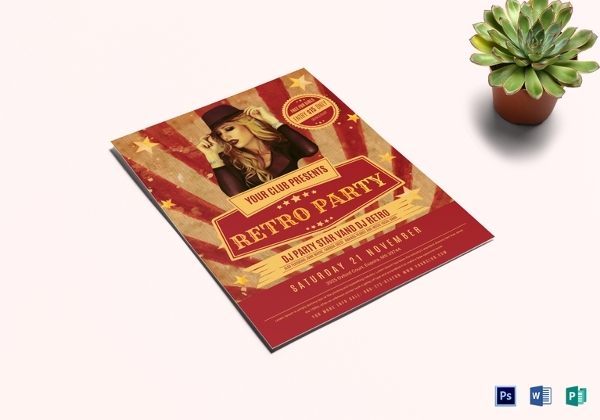 This retro flyer design is perfect for promoting various music events, such as a party, festival, concert and more. It is extremely easy to customize and is A4 in size and print ready. If you want a stunning and eye catching template, then this one is perfect. It is easily edited and you can change up everything, including the images, details and much more for your party. 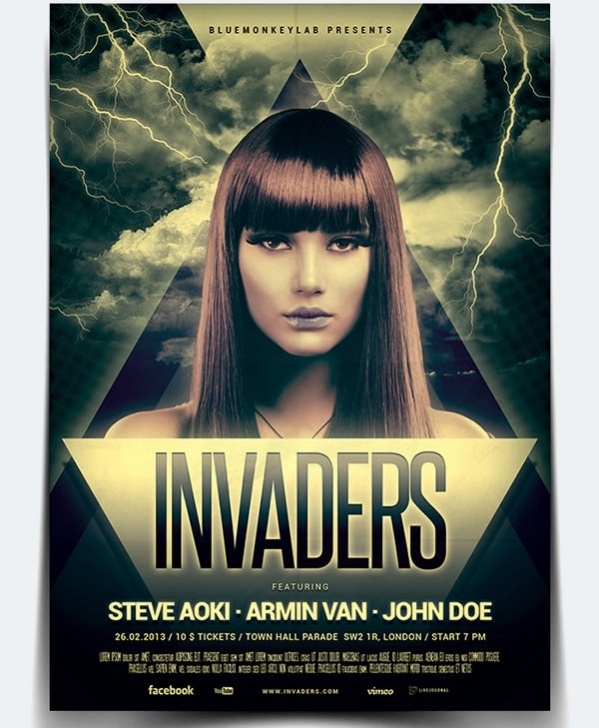 If you have a party coming up and want to advertise it, then this poster is perfect. 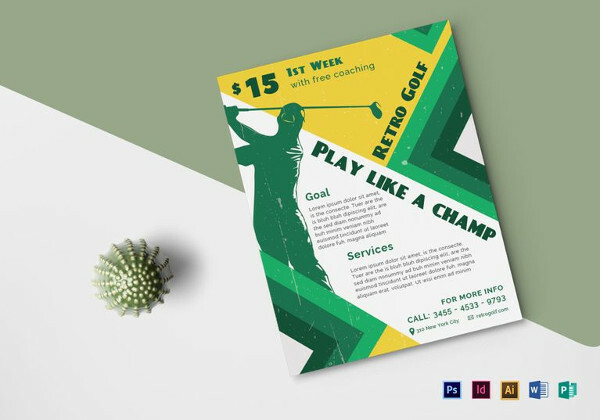 It is fully customizable, including the images, logos, text and much more for your club or party. 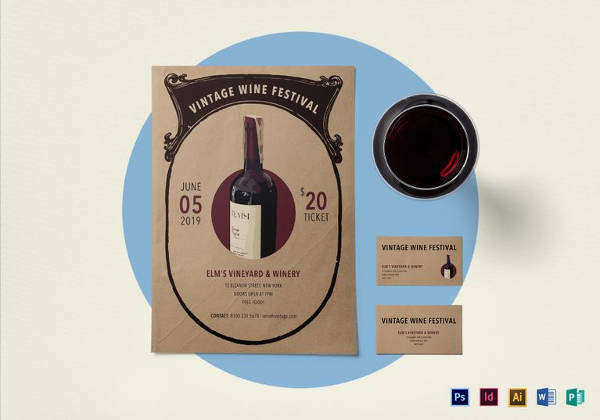 If you want something that is elegant, yet retro, then this is a great template. 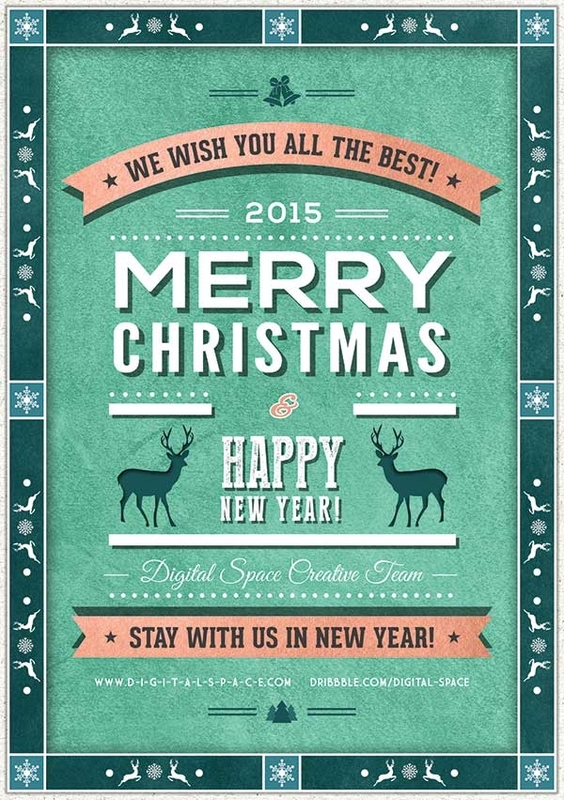 It has a great background design and everything can be edited, such as the text, images and more. 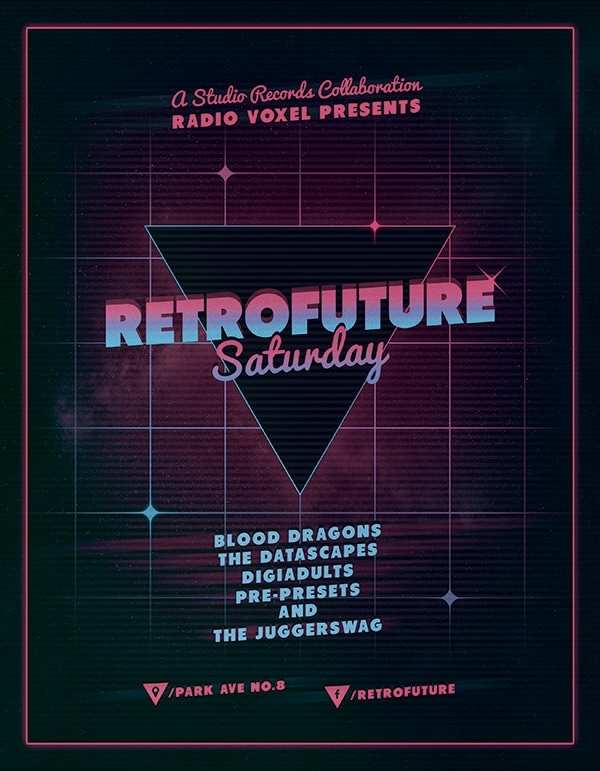 This is a great retro flyer design that you can use for any personal project or party. It is easily downloadable and you can also change up the images, text and more to make it your own. If you are looking for something unique, then this poster is it. It is 4.25 by 6.25 inches in size and it is ready to be printed and is extremely simple to customize with images, text and more. 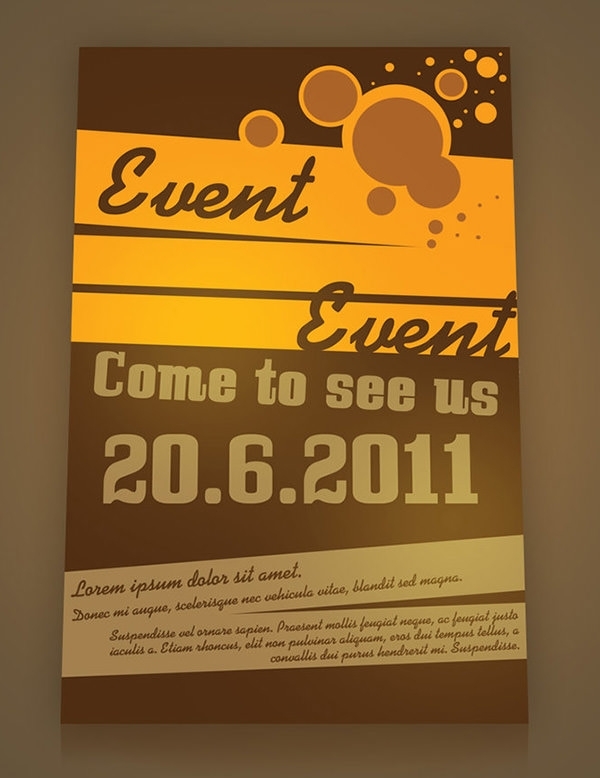 This is an A4 size template that you can use to promote your upcoming event. You can customize all aspects, including the images, font and more to create something unique. 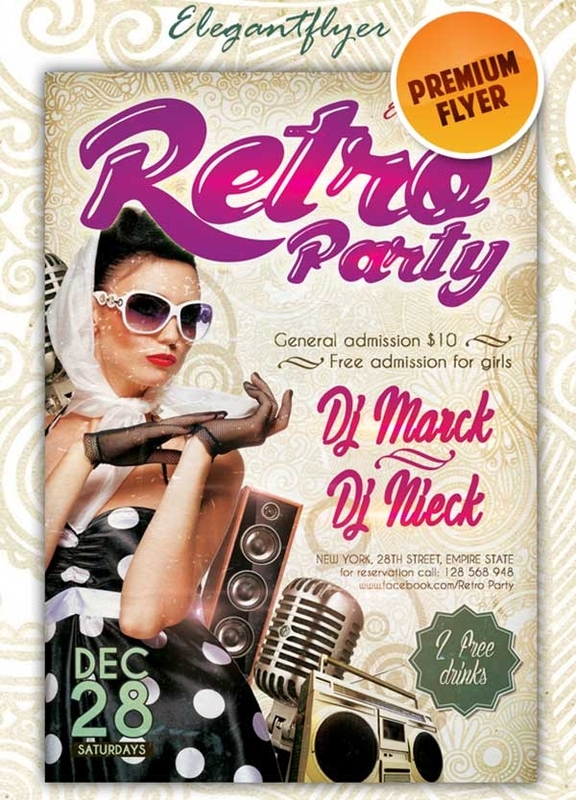 If you are planning a Christmas party, then this retro flyer design is perfect for advertising or inviting people. It is completely customizable, including the text, images and much more. This is a great template that you can use for any event, including a party. It is simple to use and can be customized with various colors, text, images and more. 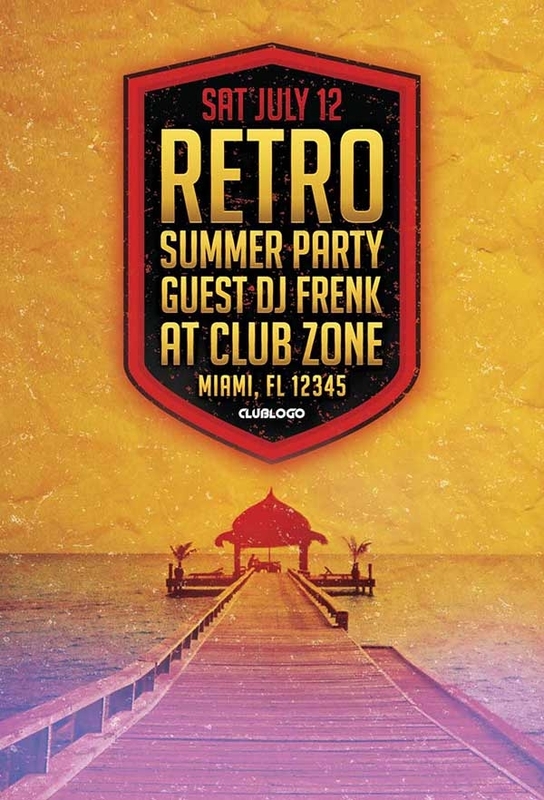 If you have your own night club or bar, then this is a great poster to use. You can completely customize it with your own images, text and more to create a stunning effect. 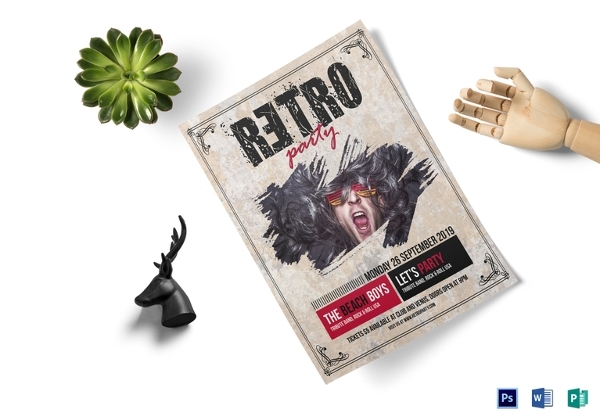 Now easily promote any kind of techno, dance or electro event like DJ set, party or any other event in the music club with the retro flyers. 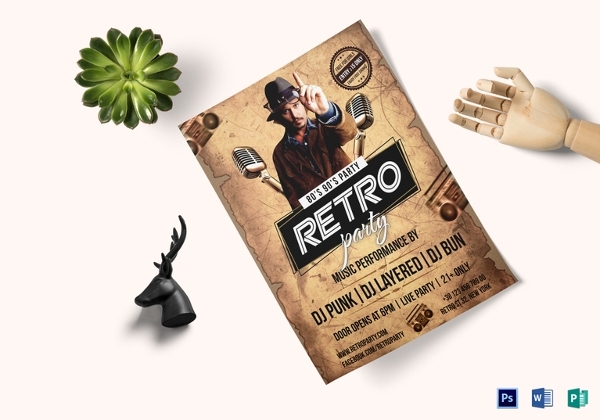 These retro flyer PSD templates feature Customizable/editable PSD vector layers and are therefore customizable in terms of the colour combination, modification of elements, etc. with applications like Photoshop, Illustrator and others. 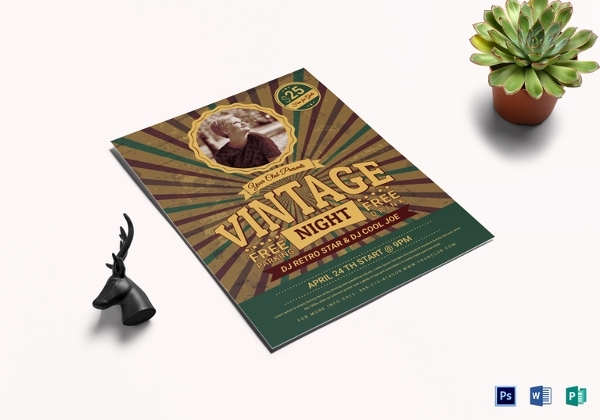 You need to download the best Retro flyers PSD design templates for free and attract consumers’ attention with your splendid flyer. 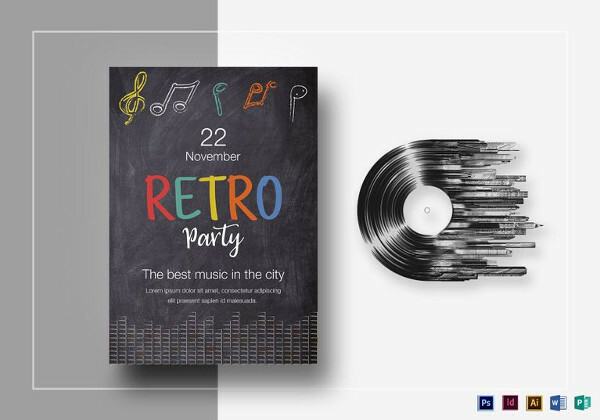 If you are a club owner or simply looking to organize a party at your home, these PSD retro flyer design templates will help you save both time and money. 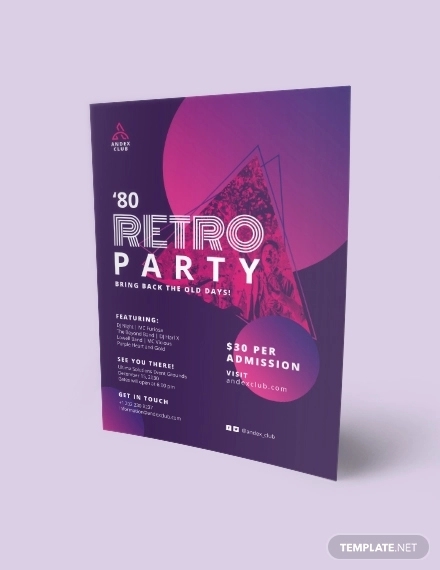 They are stylish and attractive in design and are fully print-ready which makes them highly useful for Club events, club parties, schools, marketing, fashion, brands and many others. 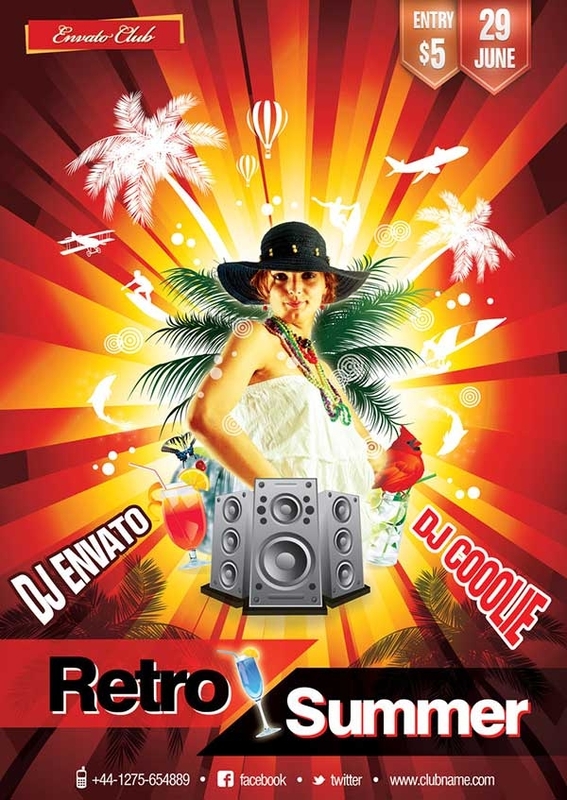 Now get your Retro flyers PSD files free download and let the party begin.